Yesterday, I received an email from Farah Stockman, of the Boston Globe, thanking me for my efforts to document the ancestry of Elizabeth Warren. Through her email, I could tell she had already formed an opinion and what I said didn't matter, so I wondered why she even bothered to contact me with questions. But I answered her email truthfully and factually. And, just as I suspected, she didn't consider one thing I told her. Her article came out and she asserted many things that are commonly told as truth in the non-Cherokee world, but when studied, are shown to only be based in lore. (Are we starting to see a pattern here? Lots of lore, huh?) Did Cherokees refuse to enroll? Yes. Were they enrolled anyway? Yes. Does Farah bother to tell her readers this? No. Does she bother to tell her readers that those who opposed allotment were the Nighthawks, often full bloods, always traditional? No. Does she tell her readers that some Cherokees who tried to avoid allotment were arrested and forced to enroll? No. What she does is apparently try to lead her readers into believing there were people everywhere who refused to enroll so today their descendants are cut out of being able to claim their ancestry. This is not true.There are Cherokee descendants who are not eligible to register with any of the three federally recognized tribes. Some because their blood quantum is too low to meet the minimum required amount and others because they don't have an ancestor on the Dawes Roll but they still have ancestors found on other historical Cherokee rolls. We know this. No one disputes this. But Elizabeth Warren is not one of these people. Though Farah writes, "Ironclad claims of Native American ancestry are often based on the so-called Dawes Rolls", this is not true. The "Dawes Roll" is the final roll of citizens of the Five Civilized Tribes; the Cherokee, Choctaw, Creek, Chickasaw and Seminole. Most Indian Nations do not use the Dawes Roll as their basis for enrollment or registration. I know it might be hard for some people to believe, but there are a lot of other Indian Nations or tribes in the United States. Everyone is not Cherokee. And Farah's statement isn't even true for Cherokee ancestry because the Eastern Band uses the Baker Roll as their base for enrollment. But, Farah doesn't tell her readers that. She makes it seem that because Warren's ancestors were not on this roll, one roll, the Dawes Roll, they might have lost their chance to ever prove their purported Cherokee ancestry. Why didn't Farah point out the many other rolls of the Cherokee people like the Emigration Roll, Henderson Roll, the Drennen Roll, the Old Settler Roll (two of them), the Guion Miller Roll, the Chapman Roll, the Siler Roll, the Lipe Roll, the censuses of 1869, 1880, 1890 and 1896? Or the muster rolls of Cherokee soldiers from the War of 1812 and the Civil War? Or the Moravian and the Brainerd Mission records? Or the muster rolls from the removal? Or the ration lists from before and after the removal? Or the claims the Cherokees filed against the US in the 1840s? Why didn't she point out Elizabeth Warren's ancestors are found on none of those rolls or in any of these records either? You would think Farah would ask someone who actually knows about Cherokee genealogy and records if she really wanted to get to the bottom of this controversy, wouldn't you? Well she didn't. 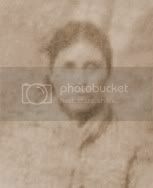 There are numerous people she could have talked to like Jack Baker, Gene Norris, or Jeff Bishop if she wanted to learn about Cherokee history and genealogy. Instead, she found someone to quote who wrote a book about Wetumka, the town where Warren grew up. While she adds his statements as factual, she never offers any information about his experience in the world of genealogy or Cherokee history. She tells us he says, "It is very difficult to determine who is and who isn’t an Indian," but she doesn't tell us that just because something may be difficult for him doesn't mean it is difficult for everyone. And, this man Farah bases so much of her argument on? A man who doesn't even know the name of his great grandmother. Now tell me, how much genealogy has this man done? After reading Farah's article for the Boston Globe, all I could do was shake my head and think, "Now everyone thinks they are an expert on Cherokee history and genealogy." It's almost laughable to watch this hot mess of Cherokee ancestry desperation. First, there was a frantic search to find a Cherokee and when that turned up nothing, now there is a carpet bombing of excuses why a Cherokee can't be found. Get a grip people! How hard is it to admit a Cherokee can't be found because there isn't one there? Good grief! *And just so you know, the team I work with, the four of us, have a combined total of 77 years experience in Cherokee history and genealogy. And even we don't think we are experts! Thanks for the post. Don't give up on this story, even though I can see the pressure that EW's surrogates in the media are focusing on your efforts to determine the truth. According to the Globe article, EW never used her "alleged" Cherokee ancestry to advance her career, so this is a non-issue. I personally agree with the thought that one's ancestry is sometimes unclear, but all the facts seem to point to EW claiming to be a "woman of color" and getting preferential treatment from that claim. This is a debate about gaming the system, and her ancestry claims as well as plagiarized "French-Indian" recipes all point to a person who believes the ends justify the means. Maybe the real hidden fact is she has Republican heritage, and that is what (unknown to her) causes her to blindly game the system and take advantage of Equal Employement slots to cheat other Native Americans! Kudos, Twila! This is a well-stated case by an expert genealogist who knows how and where to research subject matter. Something that most of today's main stream media sorely lacks, as well as politicians (on both sides of the isle). as a resident of MA, i find myself most grateful for your clarity, knowledge, and sound reasoning on this subject. elizabeth warren and her supporters are acting in a most reprehensible and ethically challenged manner- and this needs to be highlighted and exposed as much as is possible. your voice in all this is most important- thank you. Great points, Twila. Good work! Awesome blog. You have access to info I wouldn't have believed possible! I understand why people WANT to be exotic. Being white is like being nothing at all. For most Americans there is no heritage, no traditions, it's all faded away to nothing. My mom really wanted to be Cheyenne. Unfortunately she was extremely white. 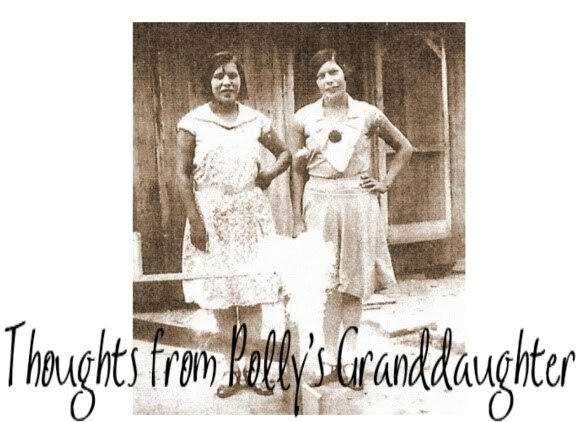 She did latch onto some story she heard her grandma say about someone being Cheyenne on her father's side and there was NO convincing her that it wasn't true because she wanted it to be true. Besides, it was sooo far back that no one could disprove it either. I don't think it's really about dishonesty, even though it requires fooling one's self, but it is about wanting to have something bigger than yourself and be part of something. People don't think about the fact of cultural appropriation or the suffering that people endured for really being native American. They just think about the cool parts.